The British public has reacted more favourably than expected to recent news of crematorium heat capture proposals. Mary Carmichael looks at some of the debate. 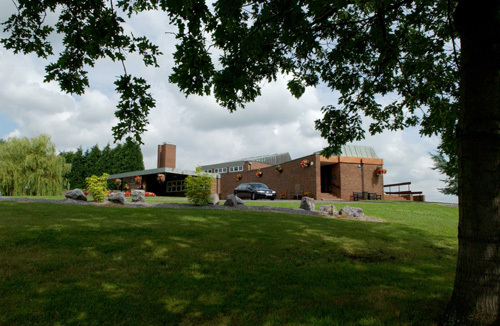 The news that Redditch Borough Council is proposing to use the heat generated by its crematorium to heat a swimming pool has resulted in considerable online debate. And, despite wariness and even hostility from some quarters, comments uploaded to the websites of newspapers and TV stations have been overwhelmingly positive. One contributor to the Birmingham Post site declared it was: “one of the finest examples of joined-up thinking I have come across in a long time”. The crematorium heat capture issue is not news to the funeral industry but this is the first time it has resonated so strongly in the public consciousness, presumably because it comes at a time of increased eco-awareness. Redditch Council reports 60 enquiries from the UK media, including eight national newspapers, as well as interest from as far afield as Canada. Some members of the funeral profession warned, via media coverage, that the public might find the whole practice “insensitive”, and the Unison union reacted by describing the proposals as “sick and an insult”. However, general public feeling seems to be supportive. The idea behind heat capture is that the heat generated by a crematorium, which would otherwise be wasted, is transferred elsewhere. Modern crematorium equipment reduces harmful mercury emissions in response to EU regulations. To capture the mercury and other acids from flue gases, the gases need to be cleaned by cooling them from around 800 degrees C to around 140 degrees C. This creates a significant heat loss that heat capture aims to recover. Supporters believe the huge environmental benefits of heat capture schemes easily outweigh any objections and the ongoing online discussion backs that up. Most objections have come from those who believed that the heat would come from burning bodies rather than the residue of the fuel used: “I'm quite shocked at how outraged I am by this but the thought of swimming in a pool that was warm because someone's corpse was being burned next door turns my stomach,” said one contributor. The issue has been debated for at least the last two decades, with several councils having already moving towards such schemes. Recently, Dr John Troyer, deputy director of CDAS, at the University of Bath, has headed up a four-year project looking at heat capture technology at Bath’s Haycombe Crematorium, which analyses how the technology can be used not only to eliminate mercury emissions but to produce a useable energy resource – one that can be used locally or nationally. It seems though that education might be the key to getting this type of scheme off the ground. What’s your experience of this issue? Do you have strong feelings about it or have your clients expressed their views? Do you think education is the key? Please get in touch with us at editorial@fsj.co.uk.